NEW YORK, June 30 , 2009 -- Greentech Capital Advisors, LLC, the only dedicated alternative energy and cleantech focused investment bank, today formally launched the firm, announcing a unique and significant set of capabilities and senior professionals. The firm's singular focus on the alternative energy space, a dynamic and expanding sector driven by climate change, fills the need for a pure-play advisory firm dedicated to alternative energy and cleantech companies. Jeffrey A. McDermott, a 25-year banking veteran and former Joint Global Head of UBS Investment Banking and founder of Greentech Capital Advisors said, "For these companies to thrive, and for America to transition to a cleaner and more energy efficient economy, there is a need for a dedicated team of experienced bankers. 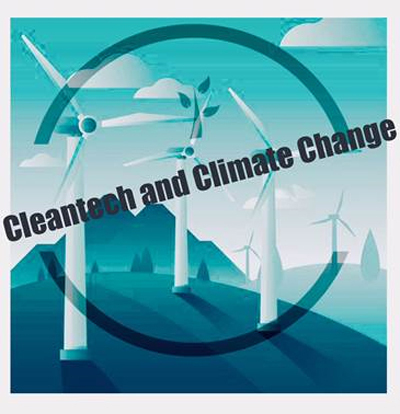 Alternative energy and cleantech companies need bankers with deep industry knowledge, a wide array of product skills, and relationships with large industrial, power and utility companies who are the ultimate customers, strategic partners and consolidators for these companies. Our comprehensive expertise and unique composition of experts will help clients grow and succeed." Richard L. Kauffman, Chief Executive Officer of Good Energies, Inc, a leading global investor in renewable energy and energy efficiency industries, said, "After many years, the renewable energy sector is finally growing up. The sector needs capital and good advice." "We believe Greentech Capital Advisors will be uniquely positioned to build a successful growth private equity investing business given the combination of the firm's deep sector knowledge with our extensive investing experience and relationships. We intend to invest alongside our clients to help them achieve their goals," de Pass said. "In addition, we will augment the advisory practice by sharing our hands-on experience as private equity investors in the alternative energy and cleantech sectors." Greentech Capital Advisors provides financial advisory services, including buy-side and sell-side M&A, exclusive sale transactions, restructurings, private placements and project finance advisory to companies engaged in alternative energy, energy efficiency, transmission and distribution infrastructure, sustainable materials and products, waste management, recycling and water efficiency. The firm's dedicated focus enables us to develop deep industry knowledge and provide thoughtful and thorough advice. For additional information, please visit www.greentechca.com. www.InvestorIdeas.com, a leading online global investor resource, with a primary focus on green investing, has expanded the current products and services to include the new Global Green Fund and Venture Capital Directory to enable green business to search for and find potential funding sources.